September began with a long-delayed home improvement project. Carbon dating has been unable to determine how old our deck is. We have only been able to go on an oral history delivered to us by those who have lived in our neighborhood for some time. By cobbling together various tales and legends we have been able to determine only this: our deck is quite old. 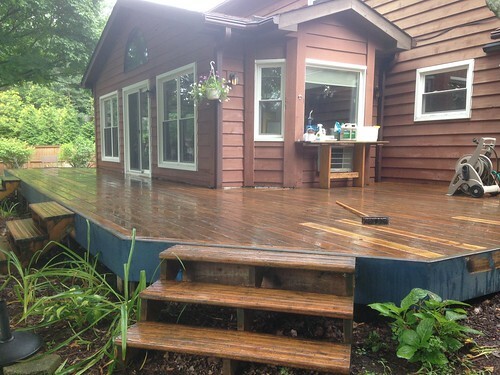 After we replaced many rotten boards earlier this spring, I began by power washing the deck then scrubbing it with some sort of deadly concoction to kill algae that may be living in the wood. This is something that hadn't occurred to me could possibly happen until researching this project. 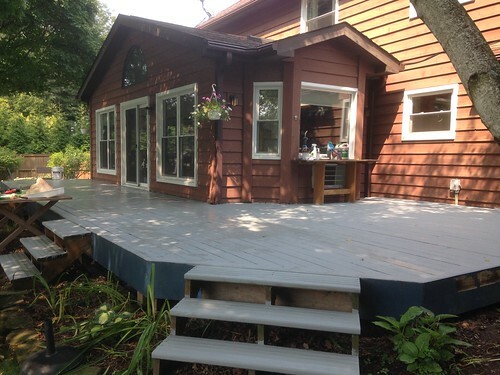 Then I applied the first coat of the thickest, sludgiest, deck paint I could. While coat number one dried Josie had her four month checkup and is doing great. She got a few shots which she didn't seem to mind then slept them off the rest of the day. After her checkup I applied a second coat of paint and was done for now. The result is probably going to get us a few extra years out of the deck, though I have not found the time to paint the unfinished trim which may potentially be a project for next year or later this fall. Our farm had a bounty of tomatoes this year and sold them for the inexpensive price of $2 per pound in surplus. 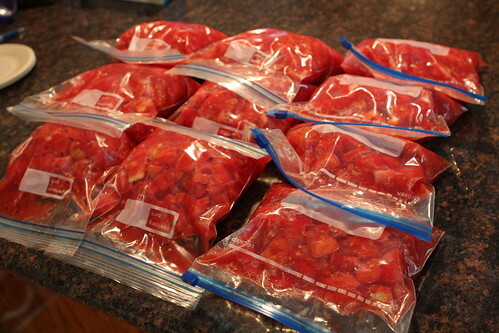 We purchased 22 pounds then peeled, and chopped them for the freezer as we did last year. Our garden's yield has been good but nothing compared to the quantity and quality we experienced last year. My deck painting supplies were immediately commandeered by the bubses who turned paint stirrers into swords and the cardboard covered the walkway into a bridge, the scene of an epic showdown between good and evil. Jen took many opportunities to make popsicles with the boys this summer. This usually resulted in irrecoverably stained clothes and giant raspberry stains on our freshly painted deck. However, can you put a price on your children's happiness? 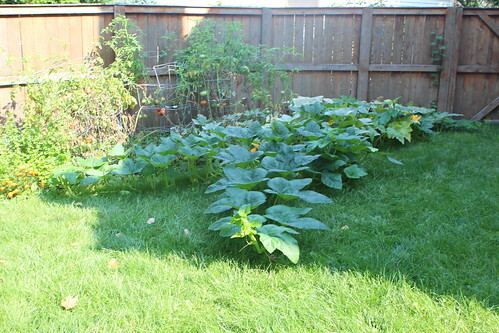 Meanwhile our pumpkin vines have taken up much of our yard. There is now an uninhabitable pumpkin zone which cannot be entered. The grass grows long under the pumpkin patch for it cannot be simply be mowed by moral homeowners. Nana and Grandpa stopped in on the prelude to their cross country tour. This meant many hours of Storybots. It also meant a celebratory dinner for Grandparents' Day, something that no grandparents were aware of. Few have Jen's committment to tracking such things. The only picture we were able to capture that was halfway decent was this one. The rest were either missing children or had them running toward the camera. By children, of course, I am referring to Martin and Elliott. Evelyn and Josephine were perfectly well behaved the entire time. Before work one day we took them to Naper Settlement, were lied to about the origins of Naperville by an employee, and watched a blacksmith making iron roses. 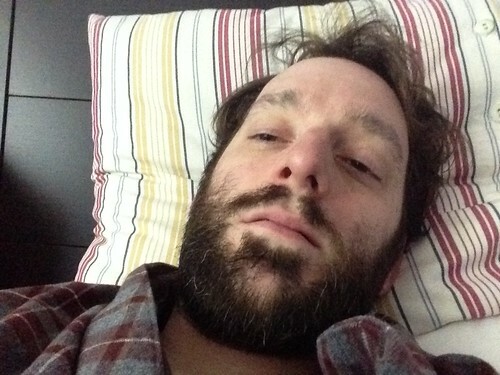 But there was to be no work, instead I got a stomach bug. Jen had previously suffered from it several days earlier and I was defeated by my own hubris, assuming I had beat the wretched bug. Several days later, after recovering, Jen was away on a work trip and we took the children to the Arboretum. Their favorite part, strangely, was while we were waiting for it to open they found a hay bale and spent about twenty minutes picking out staws of hay and pretending to be horses. Then another child showed them that they could wade in a section of the water. Unfortunately they were in jeans which meant they spent the rest of the afternoon completely soaked from bellybutton to toe. Martin also spent the entire time singing "Five Little Speckled Frogs" which is a song I had previously been unaware of. If parenthood has taught me nothing else it has taught me that I am ignorant of a huge number of children's songs. The next day Nana and Grandpa had to leave on the second leg of their countrywide tour. We spent twenty minutes trying to coax the boys into saying goodbye and taking a picture with them. They refused and finally they just had to leave. Then, of course, as soon as they pulled out of the driveway both boys started screaming and crying that they hadn't gotten to say goodbye. I am not a violent person. I would never wish violence on any human or animal. But when an unwanted animal comes into my home I will seek to murder it without regret. When we first moved in that was in the form of mice which we vanquished. 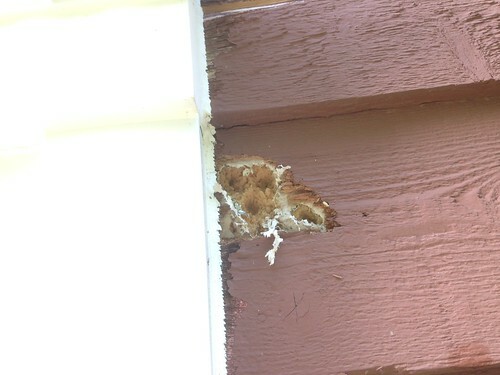 Now our home is under attach by woodpeckers. They've pecked giant holes into our siding. Now I am researching forms of woodpecker murder and will explore all options at any cost. Perhaps simply purchasing a BB gun would be the best answer, though I doubt my aim is precise enough to inflict the proper damage. If anyone knows of any ways to kill woodpeckers, please drop me a line. Be aware that I'm not interested in merely scaring them away. I want them to be dead. Preferably as painfully as possible. I'm not interested in humane removal of these woodpeckers. If they'd like to peck at trees in the neighborhood I'm fine with that. If they insist on our home then they must die as slowly and painfully as possible. After Nana and Grandpa left Elliott put together this dinosaur puzzle from start to finish with no help. I'm not sure what the average age for being able to grasp this is but it was pretty impressive. Martin doesn't have the attention span for such activities. Elliott seems to be able to focus indefinitely on projects like puzzles. Martin will put together a few pieces then need to get up and play guitar or swordfight. Martin continues to show his love to his sister mostly in the form of manhandling her. However, there are times when he sweety reads to her or handles her with the amount of care a baby deserves. The ramp up to fall has been a good one. Now we await the return of Nana and Grandpa and follow their escapades as they travel across the nation. Someday, when the children have moved out and we are retired, perhaps Jen and I will do the same. Or, if we are foolish enough we will attempt it with the kids. It's possible. Sometimes we can be pretty dumb.